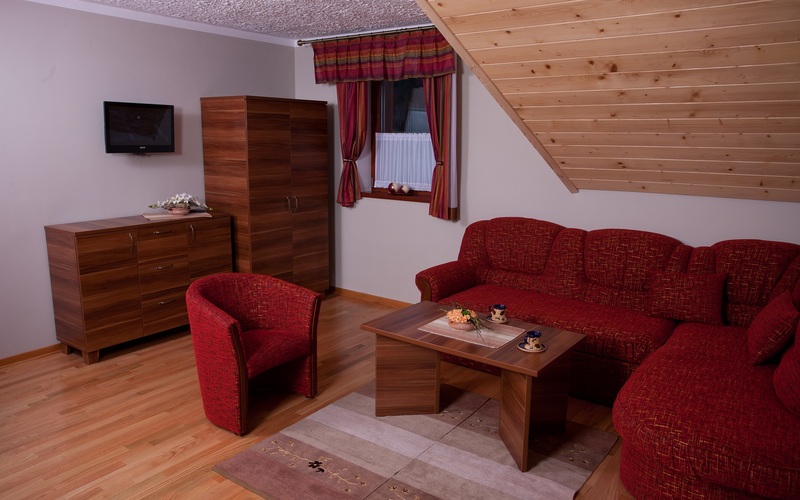 This suite is located on the first floor of the building. 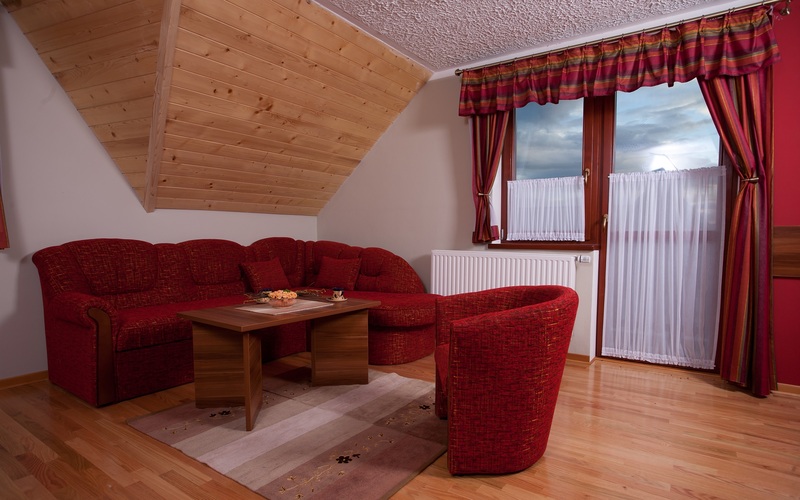 It is the only suite with balcony in both living room and bedroom. 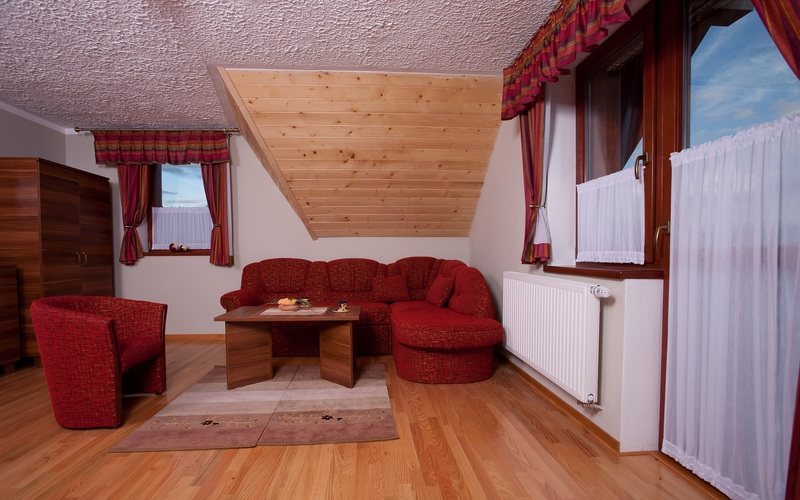 Folding sofa in spacious living room can provide additional sleeping place for 2 people. 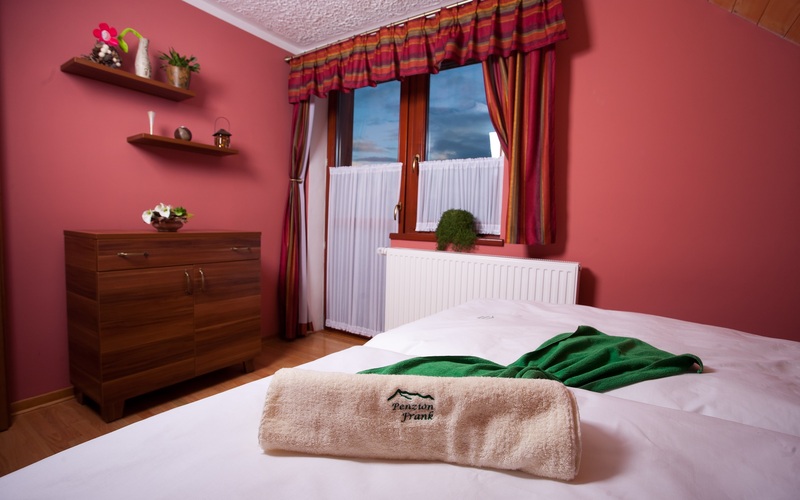 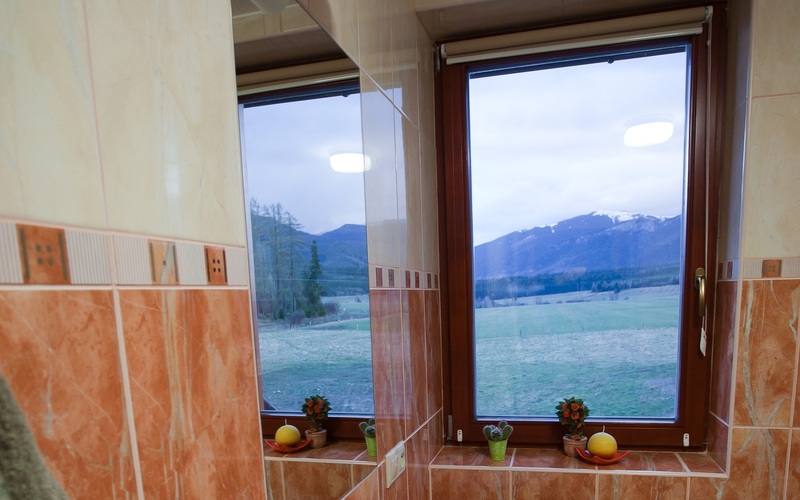 Room is located on the South side of the guest house with windows towards Western Tatras and near-by slope.